With the exception of the University of Washington Women’s basketball team, Washington State athletics were a bit of a disappointment in this year’s NCAA basketball tournament. So instead of boring you with the local collegiate athletics, we decided to do a bracket of our own! Introducing the Greenside Recreational Sweet 16 bracket! We picked 16 of the top selling and most popular products from our inventory and put them in head-to-head matchups voted on by our budtenders! In the bracket above we have products from Elevate, Spot, Goodship, Herbin Harvest, Legends, G Stiks, Top Shelf, Pioneer Nuggets, Western Cultured, Master Grown, Inflorescence, Magic Kitchen, Artizen, Fifty Fold, and Lopez & Company. The Final Four should come as no surprise. When it came to Elevate rosin vs. G Sticks, the amazing taste and extraordinary high of the Elevate rosin proved no match for the powerful G Sticks. 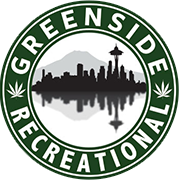 On the other side of the bracket we had to choose between two of the top flowers available at Greenside Recreational: Seattle Lemon Haze from Western Cultured and Strawberry Diesel from Lopez & Orr. This was one close, forcing a recount to to be sure that the Strawberry Diesel had in fact won over the ever so popular Seattle Lemon Haze. In the end, Strawberry Diesel from Lopez & Orr was no match for the G Stiks from GFramaLabs and their heavy hitting pre-rolls. We suggest you visit Greenside Recreational soon and create your own Sweet 16 bracket!